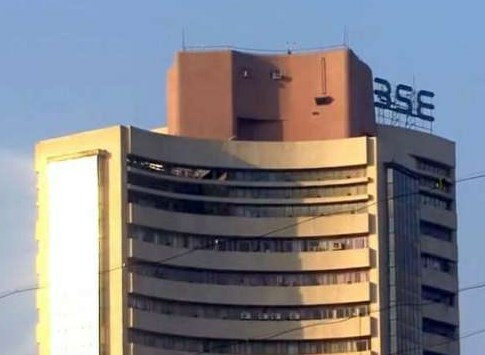 BSE Sensex gained over 70 points on Monday as stocks made further headway powered by unabated foreign fund inflows and narrowing country's trade deficit amid positive global cues. The 30-share benchmark advanced to hit a high of 38,369.59 as buying activity gathered momentum. However, investors locked in gains pushing the key index into the negative zone to hit a low of 37,952.10 before bouncing back to end 70.75 points, or 0.19 percent, higher at 38,095.07. 35.35 points or 0.31 percent, higher at 11,462.20 after hitting the day's high of 11,530.15 and a low of 11,412.50. Investor sentiment remained upbeat on narrowing trade deficit and sustained foreign fund inflows buoyed investor sentiment, according to market experts. The marginal 2.44 percent increase in exports, as well as lower imports of gold and petroleum products in February, significantly narrowed the country's trade deficit to USD 9.6 billion, data released by the commerce ministry on Friday showed. India's merchandise exports rose to USD 26.67 billion in February from USD 26.03 percent in the year-ago month mainly on account of higher shipments in sectors such as pharmaceutical, engineering, and electronics. On a net basis, foreign institutional investors (FIIs) bought shares worth a net of Rs 4,323.49 crore on Friday, while domestic institutional investors (DIIs) were net sellers to the tune of Rs 2,130.36 crore, provisional data available with BSE showed.